Can I make myself invisible so that others will leave me alone? Answer: We have the power over how we hold our energy. We can hold it inward, closer towards our bodies. Or we can shine brightly outward, which others will notice more. In my private practice, I’ve worked with celebrities who had to learn to become invisible so that when they are in public people wouldn’t bother them. This means more than wearing sunglasses, hats, or disguises. They consciously hold their energy in and become less noticeable. You can practice holding in your energy in versus radiating it brightly. Experiment with how you feel in both circumstances. Empaths, who can be both extroverts and introverts, must learn how to take charge of their energy so they have a choice how they want to be seen in the world. This will protect their energy. 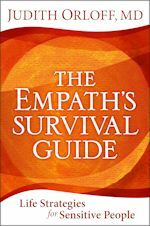 Learn more techniques on how to protect your energy in “The Empath’s Survival Guide”.